***NOTE: Due to size and/or weight too large for a box. Pallet shipping or nursery pickup. 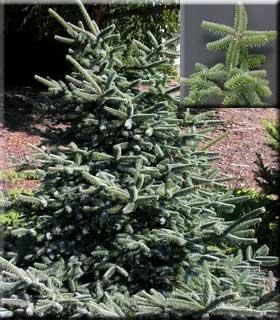 Comments: A tall and narrow drought-resistant tree with very stiff blue-green needles that surround the twig. Narrow cones stand upright in the upper branches. Grows 15 to 35 feet.